The innovative formula combines the draining and lipolytic properties of its natural components with the exfoliating action of Alpha hydroxyl acids ( AHAS ) that stimulate and facilitates cell Exchange in order to promote a better absorption of the active ingredients. It’s a treatment based on a three phases cellular action: the release of accumulated fats ( destocking activity ), the drainage and the purification of the body. Its effectiveness is due to the exclusive bio-complex, based on Rhodisterol, Carnitine, and Linoleic Acid with Caffeine, which visibly improves the appearance of “mattress skin” toning and firming the skin tissue. The based on Ivy, Fucus, and Centella Asiatica disinfiltrating phytocomplex, has astringent action while the triterpenic fractions improve the microcirculation and has draining and lipolytic action. 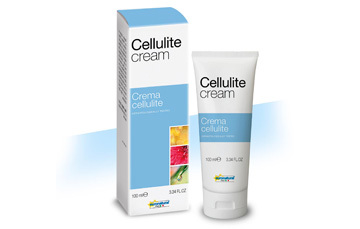 Thanks to its easy-to-massage non-greasy texture, this cream glides on smoothly for a long lasting effective massage. apply onto the areas to be treated in the morning and in the evening before going to bed. It’s advised to massage the cream in circular motions a long time for a better result.